In this guide we’ve listed and reviewed the smallest carpet cleaners shampooers that’ll provide you with the convenience of portability together with impressive performance and reliability all at a reasonable price. We had quite a hard time finding small carpet cleaners since there aren’t many brands and models to choose from. This means you only have limited options to choose from and the chances of finding the smallest carpet cleaner is considerably reduced. Even those that are labelled as portable might still be a bit on the bulky side of things. You might also need to sacrifice portability if you’re seriously after great performance, durability or reliability. That said, the models reviewed below are your best bet as far as carpet cleaners which are on the smaller side of the scale are concerned. The Hoover F5914900 SteamVac, while not Hoover’s most impressive product, is a powerful machine that will likely get the job done. Most notably, the “Clean Surge” feature provides users with a surge of power to tackle tough areas so that they don’t have to make multiple passes. There are a few other features that make the Hoover SteamVac a nice thing to have but there are also a couple of downfalls. However, since this Hoover is on the affordable end of their product line, this could make a good cleaner for people on a budget. Multi-directional brushes: These brushes are also removable and operate at three different speeds. Clean Surge Control: The Clean Surge setting releases extra detergent and provides a deeper clean for tough stains and extra-filthy carpets. Heated drying: Not every cleaner has this ability but the Hoover SteamVac has a heating function that speeds up the drying process. Dual tanks: The dual tank system separates the clean water from the dirty water so that your cleaning quality doesn’t worsen over time. 12-amp motor: The powerful motor ensures that you can get that deep clean all throughout the house. Hard flooring: The Hoover SteamVac has a mode specifically meant for hard flooring. The Hoover SteamVac comes with several attachments including a 11.25-inch nozzle and a 20-foot power cord. 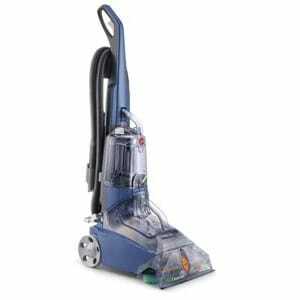 However, this is one of the more affordable Hoover machines so it will naturally come with fewer tools and attachments. There is a single hand tool that you can use for upholstery and stairs and, while the SteamVac has been reported to be effective for homes with pets, there are no specialized tools for this kind of cleaning. If any seals are not lined up, the machine will stop working. 20 feet is a short cord by some standards. The clean water tank holds more than the dirty water tank so you may have to empty it in the middle of cleaning a large room. Dirty tank is somewhat difficult to clean. Some people have reported leaks. Overall, this is a decent-performing carpet cleaner with several useful features but, by some standards, it’s slightly difficult to use in comparison to other machines. 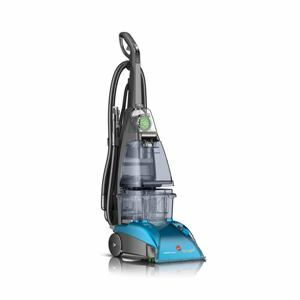 The Bissell Little Green is a multi-purpose wet vacuum (not a steam cleaner) that delivers a thorough cleaning primarily for household furniture. 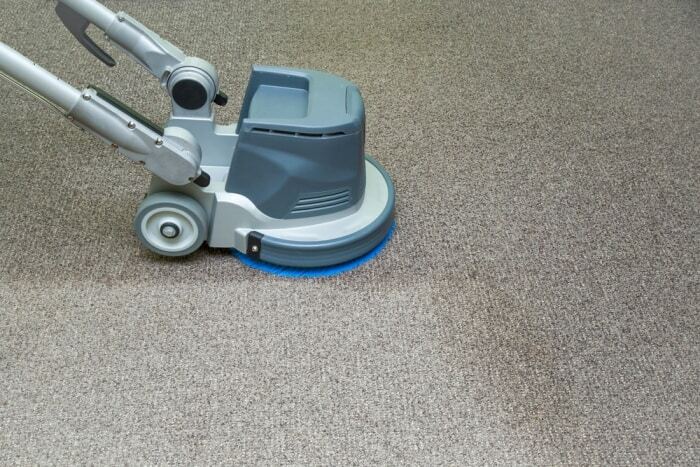 This isn’t an upright machine so it’s not ideal for large rooms or entire sections of flooring but it’s perfect for spot cleaning, stairs, and upholstery and it can even be used for auto interiors. Due to its design, the Little Green will be a bit limited in its abilities but for the right person, it could be the perfect unit so it all depends on what you plan on cleaning. 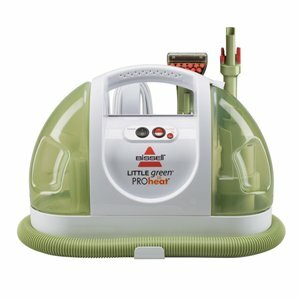 The Little Green is lightweight, portable, and powerful enough to tackle tough stains and users can easily carry this unit all throughout the house to clean various spots. As far as whole-house cleaning, though, it’s not going to be very practical. Handheld tools are the only cleaning mechanism so users will have a lot of control over the way they are able to clean. Heated Cleaning: The Bissell Little Green ProHeat has a built-in heater so that you can keep your water and formula hot while cleaning. 2-in-1 Crevice Tool: The crevice tool allows users to get in tight spots without losing suction. The crevice tool also sprays so that you can reach these areas with your cleaning solution. Separate Tanks: This unit is able to keep the dirty water separate from the clean water for enhanced cleaning. Flexible Hose: In addition to the attachments, the flexible hose allows you to reach wherever you need to. Large Water Tank: The unit’s water tank is 48 ounces, which is a good size. Heating device helps you keep the water warm. It sprays and suctions even with the crevice tool. It is very portable and convenient. It is good at picking up hair and cleaning pet stains. Some nozzles are transferable and you can use them on Bissell carpet cleaner. Some people report poor suction. For very aggressive stains, you’d have to make multiple passes. Suction goes down over time. Water tank is hard to clean. Overall, this is a useful machine if you want to be able to spot clean certain areas whenever there is an accident. You can clean your entire flight of stairs or whole pieces of furniture but the larger the area, the longer it’s going to take. The Bissell SpotBot is a deep-cleaning spot cleaner with strong, powerful suction that is designed specifically for cleaning up pet-related messes. In addition to the portability, the SpotBot takes convenience to another level by allowing users to simply walk away while the machine does the work but it still comes with a hose and a hand tool for those hard-to-reach stains. With the SpotBot, you’d be able to clean your carpets, your stairs, your upholstery, and your car but, as the name suggests, this machine isn’t designed for whole-house cleaning. Rather than serve as your primary carpet cleaner, the SpotBot could complement your upright vacuum and ensure that you are able to clean random stains effectively and as soon as they appear. With the hands-free technology, you can simply place the cleaner on the stain, press the button, and let it clean while you tackle other chores. The machine’s smart system ensures that it delivers the right amount of water and cleaning solution based on the type of stain but if the stain is in a corner or on an uneven surface, you can still clean it manually. The SpotBot is great for homeowners who need something that can aggressively tackle stains no matter where they appear. The machine doesn’t move around so hands-free cleaning is limited to small stains. Machine leaves a visible imprint on the carpet. Dirty water reservoir is difficult to clean. It comes with few accessories. 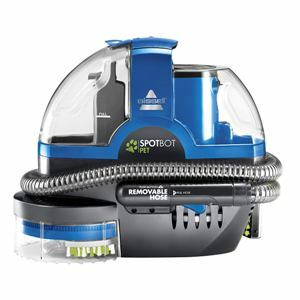 Another reason why the Bissell SpotBot a practical option is that the automatic cleaning is easy to use. You just have to place the cleaning mechanism over the stain and press start on the cleaning setting that you want. You can make it a quick clean if the stain is fresh or mild but for deeper, tougher stains, there is a “set-in stain” setting that you can use. Whenever you need to use the hose, simply press the “hose” setting and the suction will switch. Overall, the hands-free cleaning is a nice touch and very convenient if you actually use it. The SpotBot appears to be quite powerful so you should have no problems tackling tough stains; however, the bigger these stains get, the less effective the SpotBot will be at cleaning them. The Hoover Max Extract is a versatile machine with the ability to clean tile floors and some sealed wooden floors as well as carpet. It uses a pressured cleaning system to power wash surfaces and many people praise the machine for being able to provide an even suction in all areas. The machine cleans just as well on the edges as it does in the center; while that’s good, users should be careful about using this next to things such as wooden baseboards as hot water could spray onto the wall. The Hoover Max Extra features a pressured cleaning system that sprays water jets from its brushes, providing an edge-to-edge clean. These brushes also rotate as they are spraying water and it automatically mixes the detergent and the water prior to cleaning. Given its ability to deal with water, the cleaner also has a spill pickup mode for cleaning wet messes. Brushes only rotate at one speed. It is slightly heavier than some other models. There is no powered hand tool. It comes with just one accessory. The Hoover Max Extract is sturdy and easy to use with very little setup. It has been designed for usability but with most of these machines, the tanks and lids can give people a little trouble. When things aren’t aligned properly, the machine may not work properly or at all so it is important to remove and insert these pieces carefully. Even though the brushes only have one speed, this minimizes the number of controls so that there’s less confusion and the automatic mixing removes another step of the cleaning process as well. Many people praise this model for providing professional-level results without the hefty price. The machine operates with 10 amps and this is close to some professional-grade machines such as the Rug Doctor that operate at 11 amps so you know that you are getting a powerful clean. Most of the time, cleaning solutions are included with your purchase and with the automatic mixing feature, you won’t use up more than you need to. There aren’t many options to choose from as far as the smallest carpet cleaners shampooers are concerned. However, if you’re looking for a model that is small and still does the job pretty well, then you can’t go wrong with any of the models reviewed above. They are each portable, reliable and won’t disappoint whenever you’re busy cleaning your dirty carpet. Can You Put A Humidifier Next To Your Bed? Can You Use A Diffuser As A Humidifier? How Much Does An Air Conditioner AC Weigh? How Long To Run Ozone Generator? How Long Does It Take For Ozone To Dissipate? ​Our Regular Newsletter Will Provide You With Helpful Tips & Solutions To The Air Quality Issues You Face At Home.